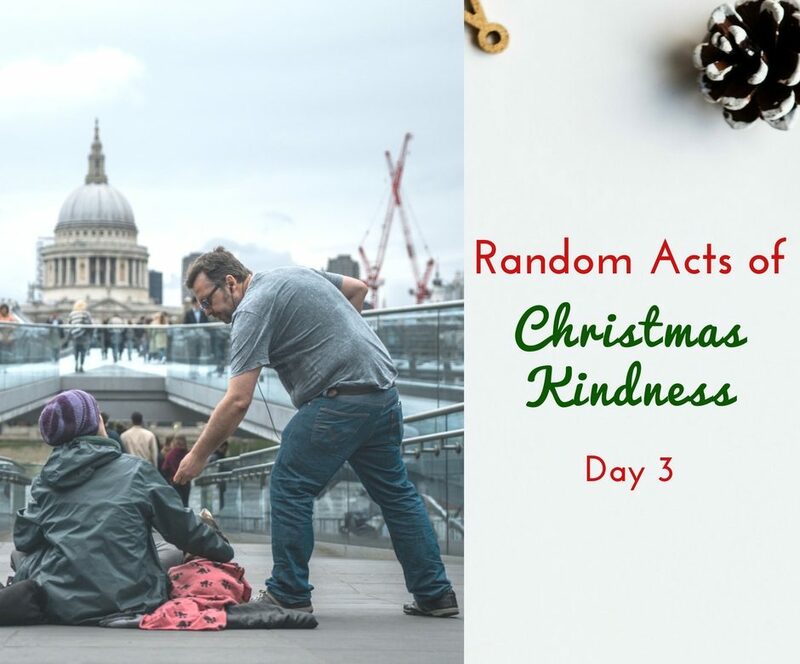 Welcome to Day 3 of our Random Acts of Christmas Kindness Challenge! 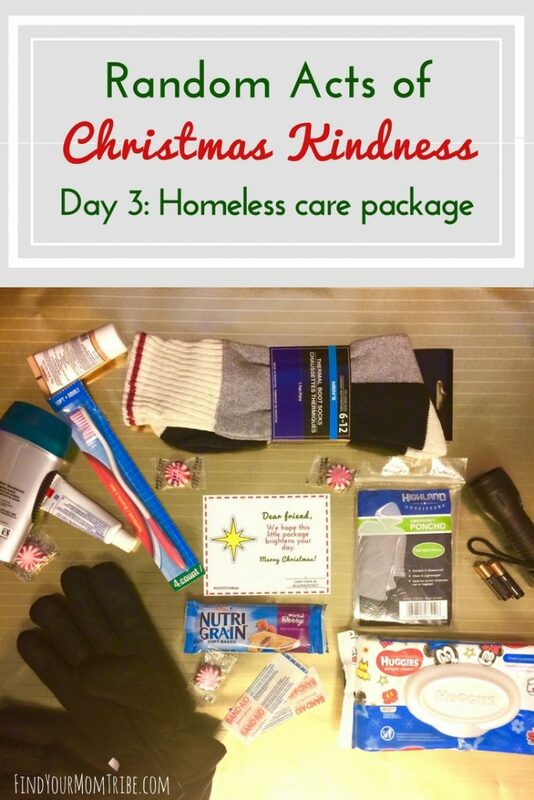 Today’s challenge is to make a care package for a needy or homeless person. There’s a complete list of ideas in your kindness packet, but here’s what we included in ours. We also brought along a mason jar of hot vegetable soup. We shopped for our supplies several days before the challenge. Alex (my middle) helped me make the soup. There’s a spot right off the interstate where a homeless gentleman stands. He always has a smile and a wave for each car that passes by. It was late in the afternoon when we headed out, and that gentleman wasn’t there. I thought we’d have to return home with our soup and package. But then out of the corner of my eye, I spotted someone! When my husband got back to the car he told us that the gentleman was very appreciative. My oldest daughter led our family in prayer for him. Shop for supplies ahead of time. Make sure everything fits in a gallon size bag. Heavy/large items are difficult to transport. Be mindful when you talk to your kids about homelessness. It’s a complex subject. I tried to make sure not to feed into any stereotypes when talking with my kids. Pray for the person who receives your gift. Sign up here for your free printable packet!